Get your forehead reshaped the way you like with our highly-skilled plastic surgeons, arranged for you in an all-expense tour organized by AriaMedTour. If you’re concerned with your brow bossing, we are here to help. 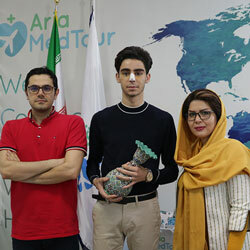 At AriaMedTour, we connect people to top-rated plastic surgeons in Iran. And if you think people choose this country for the cheap prices, you’re definitely wrong! Iran’s ranked among top ten plastic surgery destinations in the world, offering the best quality healthcare services. While different people may consider different facial features as the cornerstone of beauty, they all agree that forehead contributes a lot to it. That is why most individuals with brow bossing, i.e. the protruded forehead bone above the brows, are willing to eliminate this deformity through forehead bone contouring surgery. However, as having this surgery in many countries often breaks the bank, people can hardly afford it. So, with its affordable forehead contouring, Iran has caught the eyes of many candidates. To elaborate what it would be like to get your brow bone reduction here, this post contains every detail you need to know about forehead contouring in Iran. What is forehead contouring surgery? The forehead is one of those facial features that, depending on the shape and size, can appear masculine or feminine. 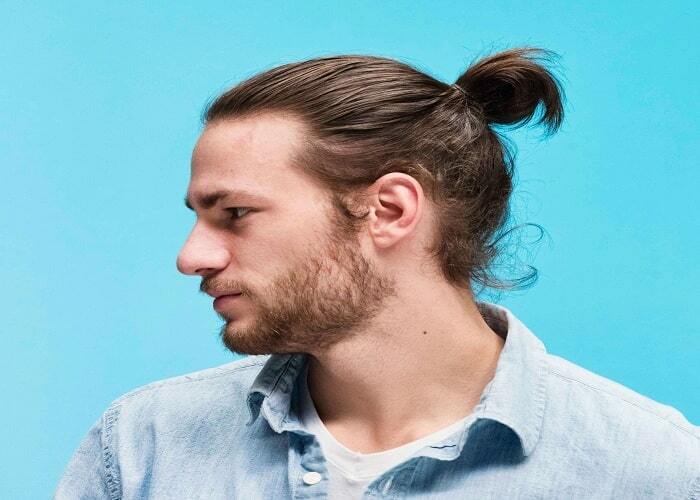 Masculine foreheads normally have a bony ridge right above the eyes and beneath the brows, known as brow bossing, while feminine foreheads are smoother. Brow bossing is not desired by many as the person may seem angry or serious, which is considered to be less attractive. Therefore, people go for brow bone surgery to get rid of this kind of look. Forehead contouring surgery also called forehead reshaping surgery or brow bone reduction refers to the surgical procedure of correcting and reducing the brow bone. This surgery reshapes the brow bossing, forehead slope, forehead bones, and the bones around the eyes to create a more natural appearance. The surgery is commonly performed on men as a part of feminization, but it also can be carried out on women who have this feeling that their foreheads appear too masculine or prominent. Is Iran a good place to undergo forehead contouring? 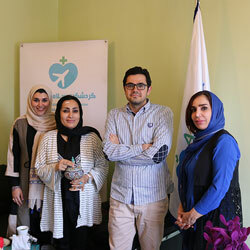 Over the last decade, Iran has become one of the popular medical tourism destinations in a wide range of specialties. With highly skilled plastic surgeons and cutting-edge facilities, this country has proved to be one of the successful countries in offering cosmetic surgery services, including forehead reshaping. 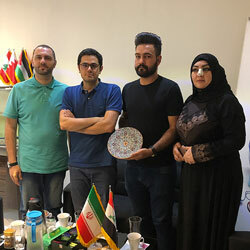 As the number of international patients traveling abroad for treatment is on the rise, more people hear various stories about having plastic surgery in another country like Iran. One key reason persuading people to seek such surgeries abroad is affordability. The affordable cost of forehead contouring in Iran, even when including travel and accommodation costs, is a motivating factor. 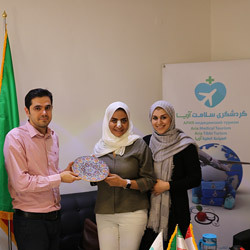 By traveling to Iran for your brow bone reduction procedure you would pay a fraction of the price you'd have to pay for the same procedure at home and even get to experience a more effective treatment as you are going under the knife in one of the top ten plastic surgery destinations in the world. Thanks to the high ratio of doctors to population, there would be no waiting time to book surgery with a surgeon of your choice when traveling to Iran. How is forehead contouring surgery done in Iran? The surgery lasts around 2-3 hours. It's done under either local or general anesthesia. The method of performing the surgery varies based on the patient’s anatomy. Generally, the surgeon makes an incision at or behind the hairline to access the skull bone above the brows. Depending on the anatomy, the bone will be manipulated, i.e. shaved, reshaped and fixed. The incision will then be closed with stitches. This surgery can be combined with other plastic surgeries to get the best possible aesthetic results. As the incision is made at the same spot where that of hairline lowering and brow lift surgery is made, sometimes these procedures are done simultaneously. Once the brow ridge protrusion is weak, the surgeon may achieve the desired results by shaving (grinding down) the bone. Some patients can benefit from this procedure, others may be recommended to go with other methods. In this method, the surgeon removes the bone and reshapes it. The bone is then put and fixed in place with tiny screws. Finally, the surgeon covers this surface with cement to create a flatter frontal surface on the patient's forehead. The cement also accelerates the healing process of the bone. Most surgeons prefer to use bone cement, which is the patient’s living bone, as it is durable, strong, and easy to be adjusted. Once there's a depression on the patient's forehead or the forehead is extremely flat, contouring can be achieved through forehead augmentation or implantation. In this type of surgery, different kinds of materials, like silicone sheet and Gore-Tex, are inserted/implanted on the frontal bone to contour the surface. 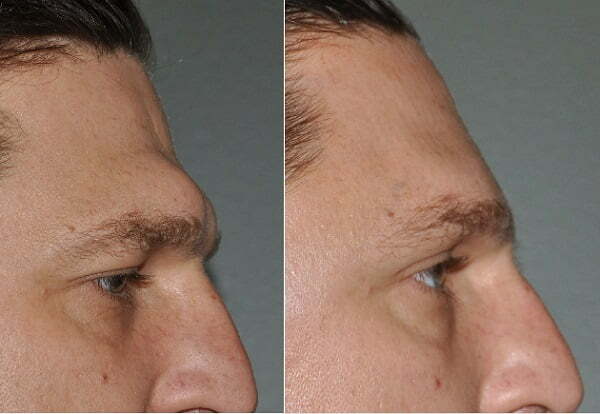 As an alternative to forehead augmentation, fat injection can be used to give the patient a natural-looking full forehead. However, this method does not render permanent results. While getting cosmetic surgery is beyond most people's means, medical tourism makes it possible to get an affordable surgery beyond borders. As mentioned earlier, Iran is one of those countries offering high-quality procedures at reasonable prices. Forehead contouring in Iran costs from $3,000 to $4,500. This price includes all the related medical expenses including anesthesia, doctor's visit, surgery, and follow-up fees. So, you'd be able to save from 20% to 50% by traveling to this country for your forehead surgery. What to expect after a forehead reshaping surgery? After forehead bone contouring surgery, you may expect a recovery period of 1-2 weeks. During this period, you may experience some degree of swelling, bruising, and numbness. Sometimes, numbness may last for about 3 months. Physical activities and sports should be avoided during the recovery process. As dissolvable stitches are used, there would be no need to return to the hospital to have them removed. The scars would heal on their own as well. They would blend into the skin tissue and conceal under the hairs. Is forehead contouring surgery right for me? You are a good candidate for a brow bone reduction if you’re suffering from brow bossing or masculine-looking forehead. This surgery is also the right option for those who want to have a shapelier and full forehead. Is forehead contouring surgery safe? There’s no major complication or risk associated with frontal bone surgery. The studies show a high rate of patient’s satisfaction and safety. A study investigating patients’ condition after bone reconstruction surgery has found that overall satisfaction among patients is high. Is there scarring after brow bone reduction? For all the methods of forehead contouring except fat injection, there would be scarring, however, the scar would be located either along or behind the hairline. So, it would be concealed with the hair. Plus, it would fade away within the first year following the surgery.